Whatever – I don’t give a flying f*&%k rules or no rules. It’s stupid, I’ll do what I want attitude. All of these thoughts are realities and can make up the mix of an issue. 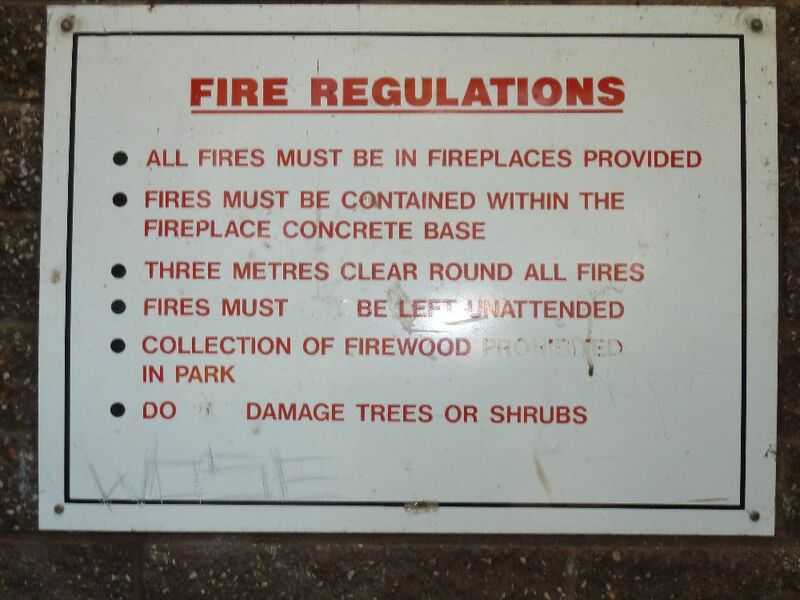 Numbers 1 and 2 are of course, quite subjective and are probably the most difficult to deal with. Number 3, some people would say covers number 2 and to a degree number 1 anyway. Right…..now I’m really confused. Rules are never going to be taken on board by everyone. That’s a fact. And nor should every rule be followed. That’s a fact and history has shown it. But if you make the choice to not take that rule on board shouldn’t you at least be accepting that there is a likelihood of consequence? Getting information out to the climbers that use the parks is never going to be perfect. Many say more signage, more signage, yet others say there is enough signage, don’t spoil the view of a park with an overabundance of large signs. 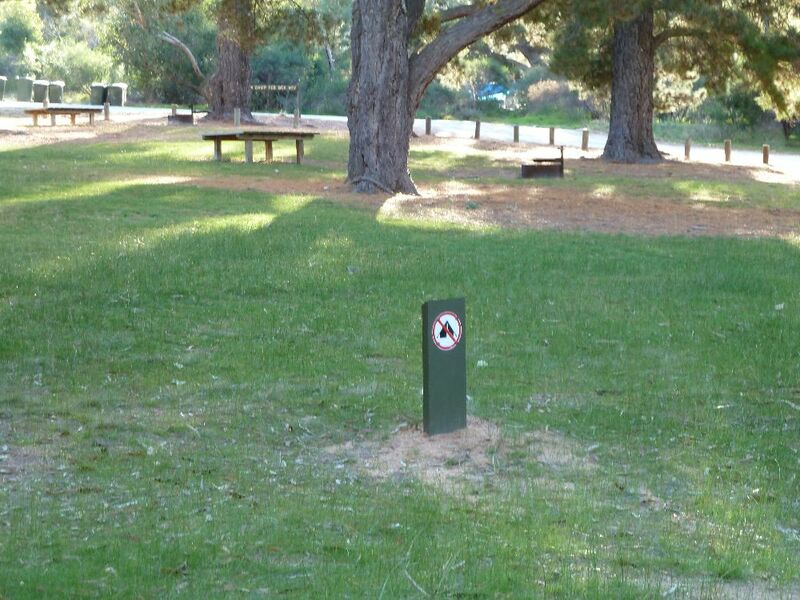 Others say you shouldn’t need to put signs, much of what you need to know is common sense or look up the information before you visit a park. Me personally, I think it falls somewhere in the middle. As much as it would be nice to rock up to a park with no visual man made intrusions, you would be cutting off your nose to spite your face if you did so. Smart people, silly people, stupid people,ignorant people, environmentally conscious people, out for a fun time people – the parks get them all. It’s not about targeting the lowest common denominator but it is about ensuring that the park can retain its environmental values as well as its recreational. Anyway, back to the point at hand. Signage. Arapiles come to mind. Arapiles has plenty of signs. Not all of them are huge arse. Some come pretty close. Some are quite subtle. And some are right in front of your eyes. 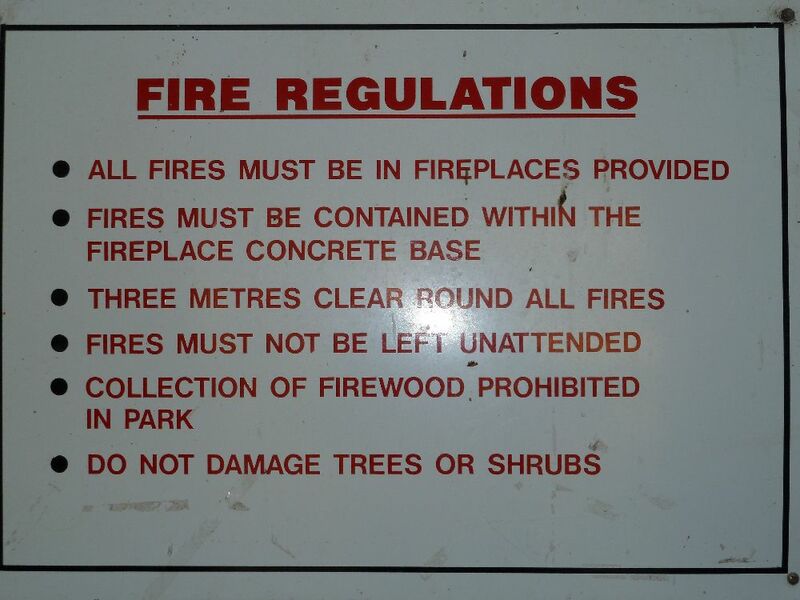 Considering the many cries of “I didn’t know, they need to put some signs up so I can be aware”, when it came to campfires and the collection of firewood in the park, you have to ask yourself, which of of the above do people fall into. 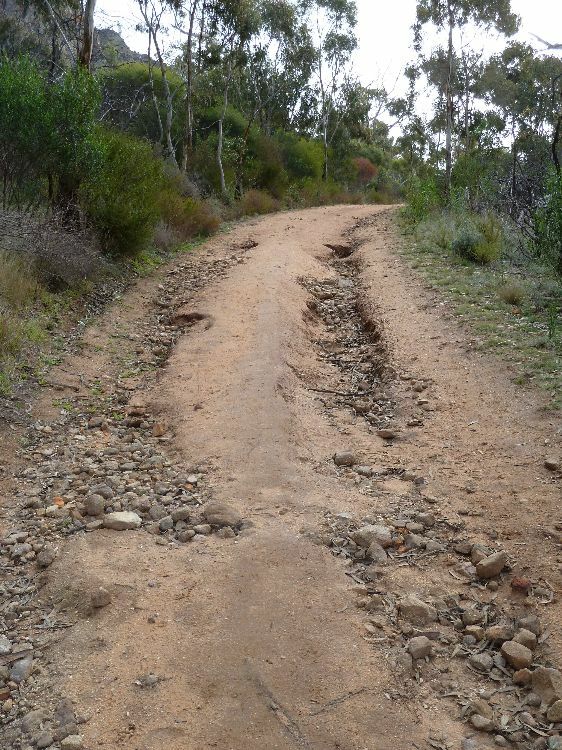 Same goes for the Arapiles ring road which despite being badly damaged and has road closed signs at both ends, continues to have people drive around it. Camping in the small area allocated to day visitors and picnic area continues to go on despite the small but still noticeable signs erected there. I am always looking for ways to improve communication and am hoping that the CliffCare website will be another way of improving this. What would be great though would be for those that seem to need the information handed to them on a plate to take a little initiative and look, but most of all, think about who is going to lose out when these things are taken away. It’s won’t be the land managers. Just a small selection of the signs that people can’t see. 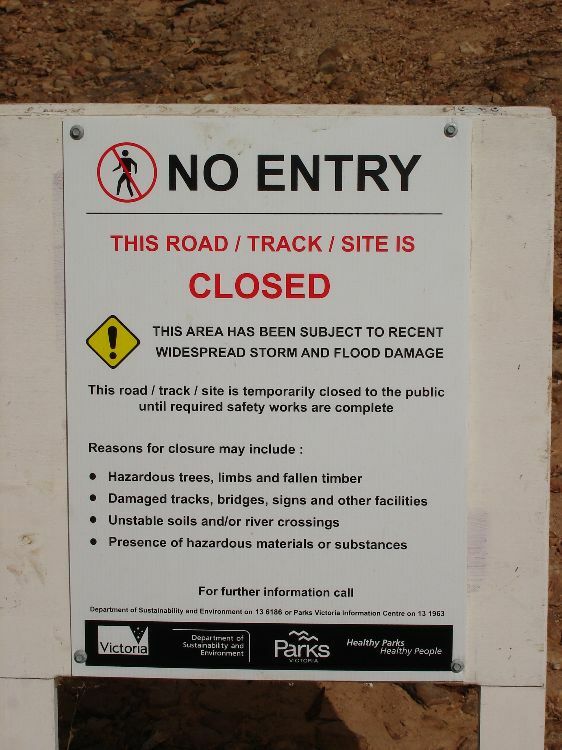 This entry was posted in Access &Environment officer reports, Arapiles by Tracey. Bookmark the permalink.